Trains are my favourite method of transport for long distances and what better way to get across Vietnam than catching overnight trains. Accommodation and travel at the same time! During our journey through Vietnam we took two overnight trains. I thought trains would be the better option than the buses as the trains had sleeper berths and unlike buses, you would need to sleep sitting up. I’ve since found out there are also sleeper buses as an option! Both are great options whilst travelling in Vietnam. 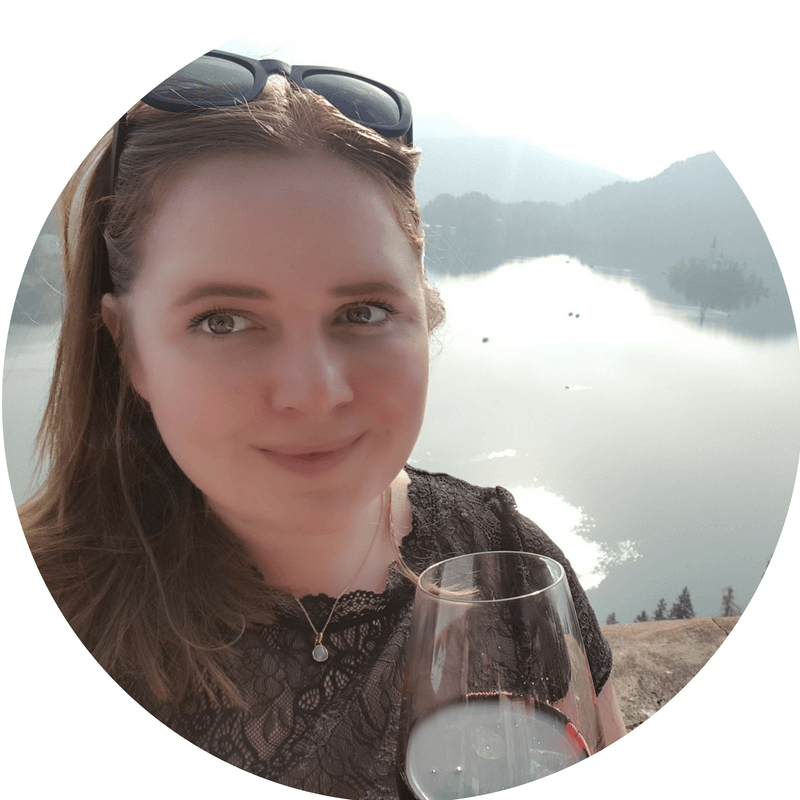 Originally, I wasn’t going to book my overnight trains in Vietnam in advance but after reading a couple of sites they all advised to buy tickets in advance during peak season unless you are more flexible. I only booked tickets three weeks in advance so when I say in advance it only needs to be a couple of weeks. Unless you are travelling during peak holiday periods such as Tet (Vietnamese New Year, in late January or early February) you should definitely pre-book as soon as the booking opens. If you don’t want to book ahead during the peak season then being flexible is your best option. You may need to wait a day for the next train or have a hard sleeper berth than a soft one. The booking opens between 60 and 90 days before departure for the longer end-to-end journeys like Hanoi to Saigon. The shorter journeys like Hanoi to Hue or Nha Trang to Saigon will open later. If you are completing a short distance then these will only open a week or two ahead. Vietnam doesn’t have an official rail site and has some impressive looking imposter websites that could be scam websites. 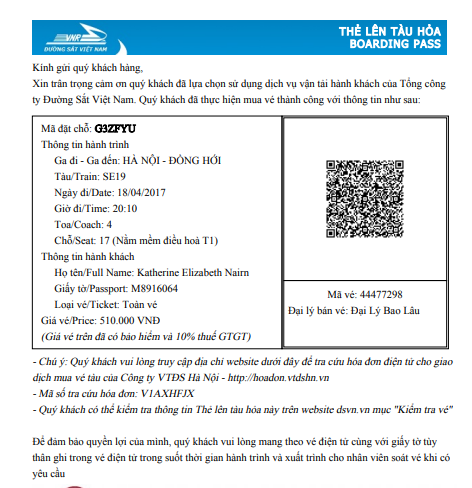 We used Baolau as the travel agent to book our Vietnam train tickets in advance. It was super easy, book via the online forms and pay. The travel agent gets back to you letting you know if it’s available, if it is they attach the ticket or if the train or seat is not available they give you alternative options. Baolau even gave us e-tickets, therefore, we didn’t even need to collect our tickets in advance. It also minimises the risks of scams with fake ticket counters. Hard seats – if the soft beds are anything to go by, I’d image these to be as comfortable as a park bench. I would only choose this option if you are taking a short journey. Soft seats – recommend for short travel and the seats looked comfortable when I saw them through the window. Hard beds – 6 beds in a cabin, when we went passed these on the train, they looked highly uncomfortable. Unless you like extremely hard beds! They are a cheaper option and maybe the only choice during peak season. Soft beds – 4 in a cabin (highly recommend for overnight travel), we used these for both train journey and these were still pretty firm beds but comfortable enough to sleep in. 3. 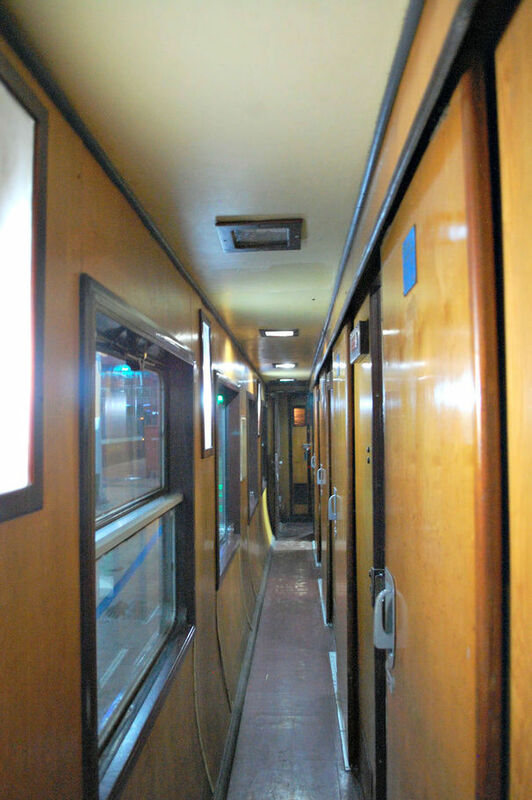 Should I Choose a Lower or Upper Berth? If you are comfortable with heights and have the ability to pull yourself up then either lower or upper berth is fine. If you have issues with heights, you are elderly, you have knee problems or any other issues that mean you would struggle to lift yourself up onto the upper berths than definitely book the lower berths. Some people feel a little safer with the upper berths as they are harder to get to. Personally, I didn’t feel unsafe on the lower berths and being short they are easier for me to get into! 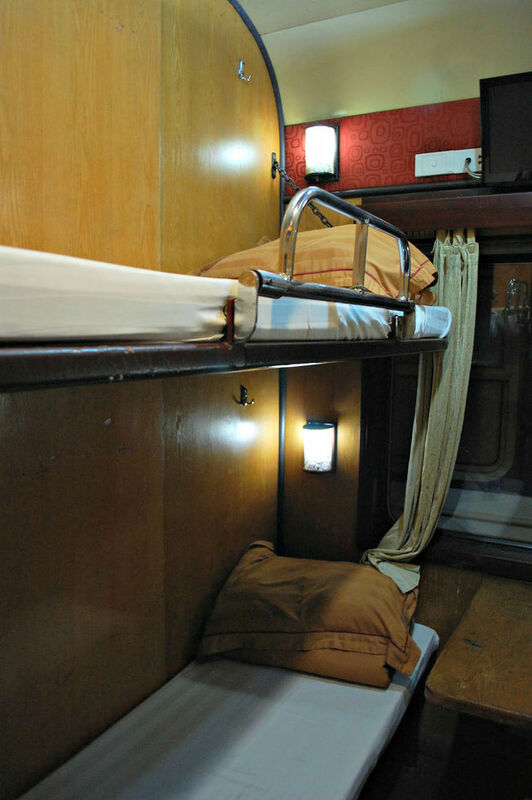 The upper berth can also be cooler due to the air con so take some warm clothes as it can be very cool on the top. We had two overnight trains in Vietnam and the punctuality of both trains were polar opposites. The one from Hanoi to Dong Hoi left around the time it stated it would and arrived pretty much on time too. Our second train arrived an hour late at Dong Hoi than it should’ve so it seems a bit unpredictable. Travelling across the UK on trains, I’ve always brought my own food and drinks with me. There is food on Vietnamese trains but I wouldn’t trust the quality. During our train journeys, we were only offered food once and there isn’t a lot to choose from. Buying food beforehand will minimise the risk of food poisoning and trust me, no one wants food poisoning in those train toilets. The train arrived 30 minutes before departure and we boarded with excitement. The soft beds berths where freshly made and the beds looked as comfortable as they could be. Although I wouldn’t say the standards are high and you may find other passengers rouge hairs. They don’t change the bedding during some parts of the journey, so if you start your journey at Hanoi, for example, this will be fresh bedding but if you get on part way through a journey like we did the second trip, they changed the bedding in preparation for Da Nang. Basically, we were in a cabin that has already been used and the remnants of the previous person from Dong Hoi to Da Nang. If you’re sensitive to cleanliness take something to throw over the pillow. We shared a room with another couple that was travelling to Hue which was great as we knew that we’d have the same people for our journey. With any train journey, even if you feel safe you should always make sure your belongings are in sight, valuable items are hidden and just generally use your common sense. The compartment was secure and there is a lock on the door so it is a good idea to lock the door when you are all sleeping. If you are travelling alone and are worried about your belongings whilst you are in the bathrooms or leave the room then just get a small bag and carry your wallet, passport etc in. As for sleeping, I think on any train in Asia you would be hard-pressed to get a good night sleep. I put music on the whole journey to get some rest, but it was not the deepest sleep. Set an alarm 30 minutes before your stop, even though they will come and wake you up but it gives you time to prepare before you get off the train. There is a power socket in every bunk, so you will be able to charge your electronics during the journey. The toilets were the western style at one end of the carriage and an Asian style at the other, they were reasonably clean at the start of the journey, but very dirty by the end of the trip. Take some tissues and hand sanitiser! The last point don’t lose your train ticket as ticket inspectors come around regularly and you’ll definitely be asked for it on the way out. 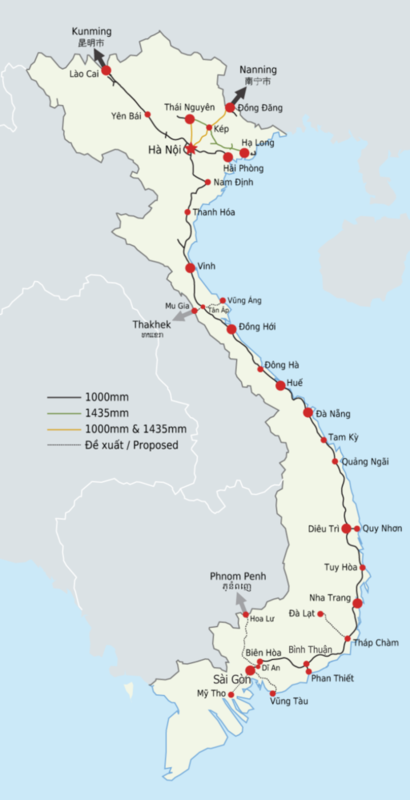 The most popular train routes are along the coastline of Vietnam and run between Hanoi & Saigon (Ho Chi Minh City). This route is sometimes referred to as the Reunification Express however this is a name purely used by guidebooks and travel agents and not reflected on the routes or trains. During the Vietnam War the train line was divided between the south and north. After the war the trains resumed running and creating ease of travel along the coast of Vietnam again. Great advise…wish I read this article before I got in the train…i am in this exactly moment on my way to Da nag.will definetly recommend this article. Thanks Jiseel! I hope you are having a great time in Vietnam.